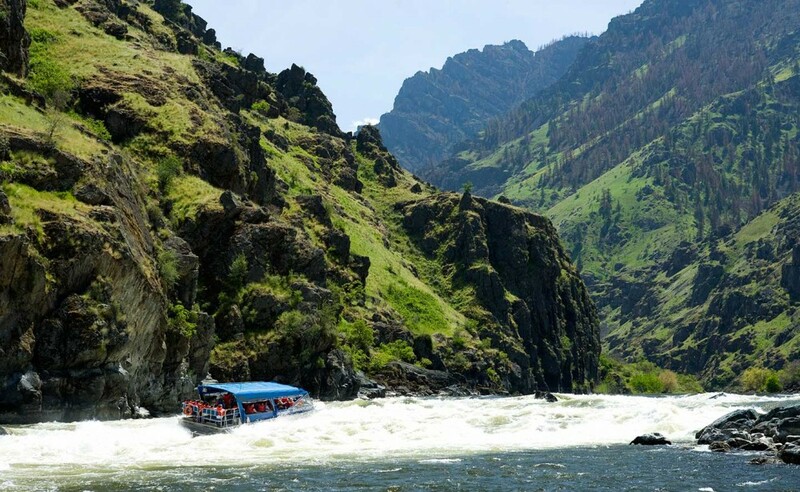 Hells Canyon, though a nationally famous run, has fairly easy whitewater. It is a good long trip in primitive surroundings for novice to intermediate boaters. There are two exceptions to that overall description – Wild Sheep and Granite rapids. Both are Class IV, but easily portable. 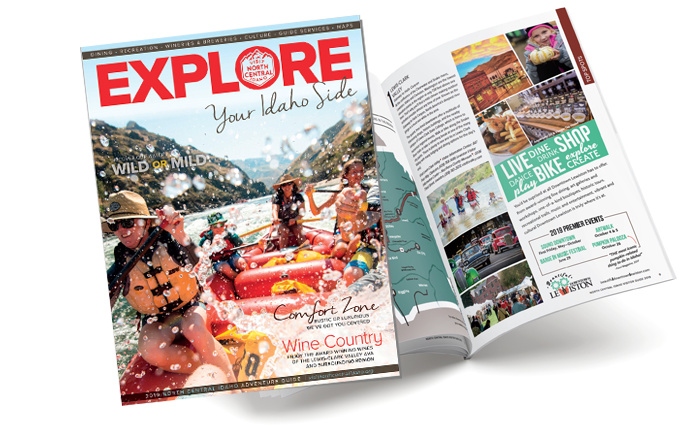 Hells Canyon is also a good run for dories, and inflatable kayaks, in the hands of experienced paddlers. The river in the lower half of the canyon, below the Pittsburgh Landing rafting take-out, flattens out considerably. Strong upstream breezes are common on summer afternoons and can make rowing a slow, strenuous process. The lower part of the canyon is also a popular weekend playground for jet-boaters. Spring rains and snow-melt bring the canyon’s sparse vegetation to life from mid-April to mid-June. But the middle of the summer, you can expect to have very hot, very dry weather and terrific swimming. Hells Canyon boasts excellent fishing for small-mouth bass and sturgeon. One of the most common forms of wildlife in Hells Canyon is the rattlesnake, so keep your eyes open whenever you’re walking.